Here's a modern take on an old classic! 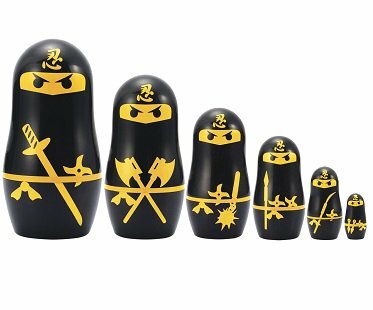 These ninja nesting dolls will look awesome displayed in your home! Line them up on a shelf and use them for storing small items inside. Each doll is armed and ready with their own weapon should they need to bust out some ninja moves.